There is good news and bad news. The good news is that I have found a combination of products that my normally angry winter skin is so in love with. The bad news is that I’m so pleased with my current lineup, I don’t want to change anything or try anything new. This poses a slight problem for me. I have to credit a very large portion of the look I’m so pleased with to OBAGI Medical. A month ago, I started using their Professional-C Serum 10% and their Retinol 1.0, regularly. Since then, I have noticed so many changes. My skin looks firmer, plumper (in the right places), hydrated, with fewer fine lines, and glowier. A new year can mean new beginnings. A cleanse of the past, of the home, of the body, of the skin. Now that I have been back in the apartment for a week, I have prepared our surroundings to better enjoy all the things 2019 has to bring. I reorganized my daughter's toy bins and draws, donated what she has out-grown, did a little redecorating, i.e. put things where they once belonged, and I threw out random items that piled up in hidden baskets around the house. I absolutely love getting rid of things that no longer serve me, vases bouquets come in, unmatched socks, used up notebooks, dried out markers, children’s artwork with one green line on it. I love it so much, I fear I might be turning my daughter into a hoarder, with her purses filled of confetti and drawers packed with neglected dolls, all of which are “special” to her. One of my favorites is achieving an expiration date. If I’m ever in your fridge or medicine cabinet, you can be sure that I’ve picked up the Advil or a few condiments and checked the date, and if it’s in the past, I’ve taken the liberty to dispose of it for you. I just get a strange satisfaction from it. With that said, I urge you to rummage through your products and throw out anything that has expired. Feel free to send me photos so I can live vicariously through you. Beauty products all have a different shelf-life due to ingredients, packaging, usage and exposure. It’s important to be aware of this, as many hold bacteria and can cause unwanted issues like pinkeye and rashes, or simply don’t give you their original results. Beauty companies are not required to put expiration dates on all products, so it’s up to us to save face here. As I check out at Sephora, a satisfaction approaches as they ask me if I am a beauty points member. I casually rattle off my phone number as my eyes wander towards the displayed samples. “You have 5075 points, would you like to exchange any today? A sense of pride suddenly makes me stand straighter, gives me a little swagger, as I pop a hip, in my sweatpants. In my imagination, all the customers around me have heard my number and are in envy, waiting with baited breath to see me pick the teeny treasure being offered to me alone. When I get home, I immediately dump out my new products to play with them like a kid on Christmas morning. There is never more twinkle in my eye than in that moment when extra products come trickling out after the tissue paper and receipt. But here in lies the problem, the receipt. How often am I doing these shops to gain these great pleasures, and at what cost? Generally, a big one. What is it about product samples that is so satisfying? Coming from a serious commitment phob like myself, it should seem fairly obvious, but it’s more! These little packets of joy hold a special place in my most treasured makeup case. The fuller it is, the more fulfilled I feel. When I look into that bag, I feel like the world is my oyster, my options are limitless, my problems could be solved with one dip in. Beauty presents are truly the gift that keeps on giving. This holiday season, forgo the flowers that die in a few days, save yourself the anxiety of trying to guess their size, and no one wants another scarf, who are you kidding? Products! All we want are products! 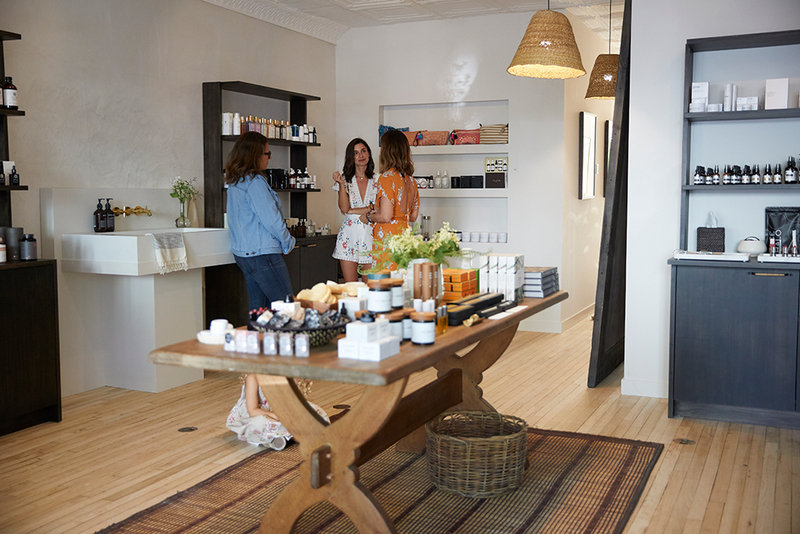 Products for relaxing, products for a younger look, products for a night out, Products for curing, products for anything! Don’t be such a Grinch and just grab a last minute coffee table book. Good beauty products will not end up in the garbage, or be an insult, or get tossed to the back of the coat closet, or collect dust on the bookshelf. I’m not saying to go buy someone wrinkle creams and pimple products, but instead, offer up some self-care, it is the ultimate act of love. All of you ask me about my skincare regimen, and now I’m sharing my secret weapon! Biologique Recherche skincare products have changed my life. I started using them exclusively a bit over a year ago, and I’ve had a natural glow ever since. There are many estheticians who do custom Biologique facials in New York, but none better than Aida Bicaj! Aida has been training with the company the longest, and her technique is proof of that. She takes her time molding my face, paying attention to exactly what it needs each time I come, always getting a different variation of the facial, as our skin requires different serums and masks depending on different circumstances and conditions. When Aida works on my face, I’m always amazed when she shows me the comparison of the side she has completed versus the incomplete half. It’s incredible how she lifts and tightens the face with her machines; it actually appears as if I had a surgical procedure. I swear by the daily regimen she has prescribed for me, as my skin has never looked better. She is a quality human, a true talent, and a dear friend. I know that eyebrows are functional, and that we benefit from that functionality, but that’s not what I wish to discuss, I’m into the superficial here. I’ve finally started testing my hand at this "bigger is better" trend happening north of the eyeball, and I have to admit, it has taken me time, patience, and a better understanding, for me to get it right. For me, this means NOT looking like Bert from "Sesame Street," with all due respect to ya Bert. Maximizing the longevity of what remains of our fading summer-looking skin can not be done without hydration. Hydration is a key component in holding on to our sun-kissed look and relaxed glow. With change of temperature, environment and routine, our skin quickly changes due to factors such as water, sleep patterns, and local toxins. The skin is largely made up of water, and has its own natural system to maintain hydration levels and protect against external elements, so when we have lifestyle changes, our moisture level drops and so dose our glow! Clearly, this is no time to skimp on your moisturizers and oils, especially at night when you are getting your beauty rest, and have the most cellular turn over. Our skin works hard all day long, protecting us from environmental and lifestyle stressors. When we sleep, our skin rests too. 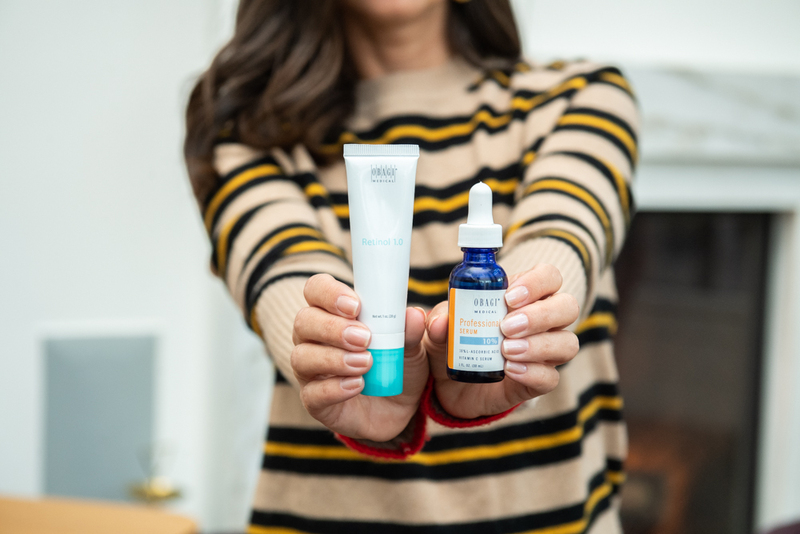 While our skin is in this rest phase, it becomes more receptive to products, making it the perfect time to pile on extra products that will boost your hydration. Some evenings, I layer so many oils and creams I look drenched! I might not be "Sleeping Beauty" at that moment, but when I’m awoken, by an evil alarm clock (not Prince Charming), and look in the mirror, I’m so pleased that I want to go ahead and give myself a kiss. In addition to your creams and oils, a fantastic way to make your skin plump and youthful, is adding hydration to the air while you sleep. Using a humidifier will help prevent drying skin dramatically, as it adds water to the air. I HIGHLY recommend the Vitruvi Stone Defusser. While hydrating your environment, it also defuses essential oils throughout your home. For many many years, the length of my hair has mostly remained on the shorter side. This originated from a festive evening with friends, a seemingly brilliant idea and a household pair of scissors. I remember admiring my new chic look and being so pleased...until the next day. I urgently ran to my favorite salon where I was then granted the look I was going for. Curiously, that was not the last time I made that decision. Schnapsidee (German), an idea that sounds great when you’re drunk. Thankfully I’ve gotten this schnapsidee out of my system, but now I long for mermaid length hair, and have dreams of not needing a bikini top this summer as thick, soft, beach waves hang effortlessly over my chest, covering any non-Saint Tropez spots. This look is not a reality for me, but I didn’t think my hair growing almost 2 inches in six weeks was either! I have this friend who I regard to such a high level. She is jaw-droppingly gorgeous and chic, impossibly considerate and kind. I tell her all the time that she is my secret weapon of knowledge, knowing if she ever has an answer to one of my many questions, it will in fact be the right answer. So recently, when I was admiring her long locks, as we took a walk, I listened closely when she told me about the vitamins that she took to achieve such a glamorous look. The answer was HUM. A few years ago, I started to notice that vitamins and supplements were popping up places other than the local nutrition or health store. I didn’t invest much thought into this because I’ve never been a vitamin taker. I’ve wandered into a GNC here and there, I’ve dabbled in a few homeopathic isles, but with the rows of bottles all looking the same, it's just too daunting a task choosing what’s right for me. Even times that I committed to a purchase, it seems that it all ends up in a kitchen cabinet, never to be seen again. Frankly, I’m not entirely clear what a multi-vitamin dose for me, I eat well, take care of my body, and thankfully have no health concerns. I’ve never been advised to take a vitamin or supplement during any conversation with medical or holistic professionals, so I have never gotten into them. But as I set onto my journey to become a mermaid by June, the idea of a hair growth vitamin that comes in a delicious gummy and sold alongside my favorite products is right up my stream. HUM was a brand that I recognized from beauty shelves and social media, but it wasn’t until I went to stock up for winter that I noticed how many interesting types of vitamins they had, most of which I was totally a candidate for! I decided to stick with what I came for, Hair Sweet Hair, while I looked deeper into HUM. Hair Sweet Hair is a vegan product formulated with interesting ingredients that have worked wonders in making my hair grown fuller and faster than ever before. Our hair needs key components, like biotin, in order to grow healthy and strong. Weak hair often breaks, leading us to believe it’s not growing. HUMs Hair Sweet Hair also contains a Chinese herb calle fo-ti which assists in hair growth, but also enriches hair pigment, translating into healthier and thicker hair. These combined with things such as B-vitamins, Zinc and Folic Acid to repair and stimulate tissue and cells, whip your hair shape long before summer season. One can never be certain what kind of schnapsidee their future holds, but luckily HUM's Hair Sweet Hair can fix any that come via scissors late at night. I’m also so excited to try many more of their products like Arctic Repair, Big Chill, Turn Back Time, and well...mostly the entire collection, schnapsidee or no schnapsidee. Nothing is more fabulous than a New York minute, until the minute after when I realized I got nothing done. We live at such a busy pace, always on the go, trying to get 10 things done at once. Get to meeting across town, taking a sick child to unexpected doctors visit, pick up dry cleaning, plan after school activities, buy birthday presents, get dog groomed, coordinate family dentist visit, meet friend's new baby, put together Halloween costume, shower, be at parents 40th anniversary dinner at 6. And this is just today. Everyday I watch Candice get more done than I can even remember to write on my todo list, and it seems everyday she takes on more projects. From running Mama & Tata, creating and launching Black Iris, chairing multiple charities, being a full time hands-on mom, an attentive friend to so many, plus her shoes always match! Either Candice has cloned herself, and I’m unknowingly meeting with Candice 2.0, or she too is pushing herself to the limits and can easily stress. Everyone has their kryptonite, even super Candice, so before we all have to find out what that is, for her, I knew I needed to share with her a product that I use while I’m on the go, go, go. At all times my bag is armed with the Tata Harper aromatherapy oils, Irritability and Stress. These little pocket-sized defense mechanisms come with a roller ball application making them ideal for traveling around, due to the fact that they won’t spill, won’t collect germs by way of dirty hands, and won’t leave you spa level greasy, since you can target small areas with controlled distribution. The Aromatic Stress Treatment has become a staple, in my designer toolbox, for times when issues or topics are really weighing on my mind. Not being able to get these things out of my head can cause such bad stress and anxiety, I become almost paralyzed getting even less done. 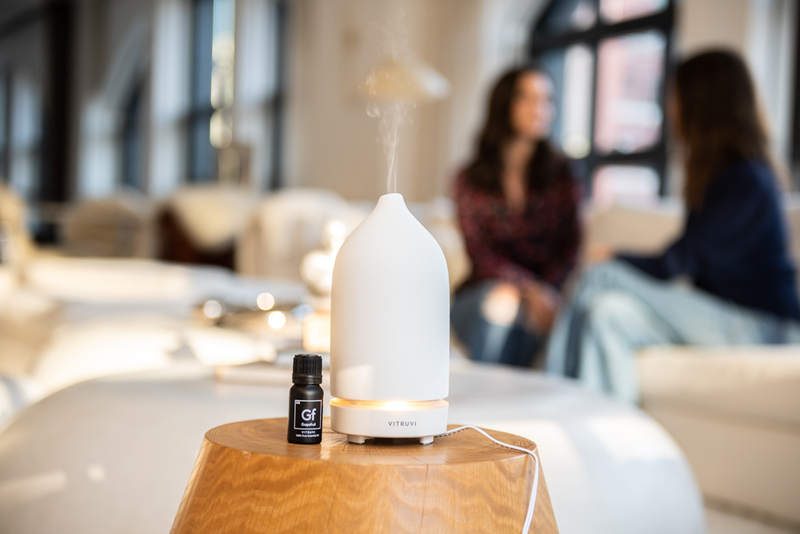 This is not helpful to my stress and anxiety level, as you can imagine, and while I’m sure I should seek professional help on this matter, I’ve found that a simple and fast solution to getting out of my own way is through aromatherapy. The Tata Harper Aromatic Stress Treatment has a profound effect on me when I roll it into the palm of my hand and breath it in slowly. The ritual of doing so calms my mind while the combination of oils get to work immediately centering and uplifting me. This feeling of rejuvenation always propels me forward when I’m stuck, due to things out of my control or when the todo list gets so long it becomes two pages, and I don’t know where to begin. It’s somewhat of a reset button to the brain that gets everything going in the right direction again. The Aromatic Irritability Oil is something I should figure out how to have pumped through my veins. Let’s just say patience is not my virtue. I get annoyed if I wake up before my alarm clock goes off, I hate the cold, I might be allergic to the rain, traffic makes me want to crawl out of my skin, my child messing with her socks every morning makes me go cross-eyed, I hate slow walkers, why does my dog pee so much, I hold my breath on Starbucks lines praying it will move faster, stop asking me to pick my color - I know the drill! I swear I’m a happy person. A very happy person, but an irritabile person. Maybe it’s because I have so much to do and not all of it gets done, then being irritated with myself. Again, I’ll seek help, but until I have time for that, my therapy of choice is Tata & Harper. The Aromatic Irritability Oil is also most effective rolled on to the palms of you hands with deep inhales for similar calming effects and additionally releases negative thoughts and frustration. My personal prescription for the Irritability Oil includes applying it to all pulse points especially around my neck and shoulders where I might be holding tension. I can’t truly explain the wonders its done for me, but I’m sure anyone who’s ever had to run errands with me for a day can attest to it’s efficiency. Knowing how the day-to-day of a busy schedule quickly turns to stress and irritability, I sit in awe of Candice. She takes on more than anyone I know, and always has a smile on her face, a kind word to say, or an extra moment for a loved one. Yet still, even the most capable and together humans can benefit from from the Tata Harper Aromatic oils. You never know when you will be face to face with your kryptonite or reach a breaking point, that’s why I had to share this with Candice especially, there are too many amazing things coming from this incredible woman, also there is an above average chance that if she ever looses it, it’s because of me for running habitually late. The sun shining on me and my brother as we run in the grass, perfectly salted, clothed in nothing but our swimsuits and friendship bracelet, eating watermelon. This is how I picture every summer of my childhood. Little did I know then that our sweet refreshing treat was helping to keep us healthy and youthful looking. We all know how hydrating watermelon is, being that it is made up of over 90% water, but it’s also dense of nutrients that are proven to aid in a number of health concerns. Asthma, cancer and inflammation are on the list of health ailments that the the antioxidants, minerals and vitamins in watermelon can help prevent or treat. Often being named “the worlds healthiest food” for its medicinal magic, many of these same factors do wonders for our looks. “The worlds healthiest food” also seems to be “the fountain of youth.” We all love slathering our faces in our vitamin enriched products for the rewarding effects, but it’s also highly beneficial when these vitamins are digested, reaching the source of the issue and possibly preventing it all together. As Candice and I prepared for a festive weekend in California, I knew we would be in serious need of heavy hitting healing products. Between the sun, the airplane, and lack of sleep, our skin would be completely depleted. Knowing that, in times like these, most products would not be able to stand up against the elements, and an extra boost would be needed. One of the most buzzed about products of this year has been Summer Fridays Jet Lag Mask. Summer Fridays was recently launched by two well-known beauty influencers who were highly versed in every product on the market, and yet still felt there was something missing. Having been in Sephora, I found it hard to believe anything could be missing, but they were right. One super mask that could kick your face back into gear immediately, something that could pick you right back up if you fell, something to point you back in the right direction if you got lost. Not all things are created equal. That is true, even for my skin. On any given day, I can be tackling up to six issues at once. Dry patches, blemishes, wrinkles, dark circles, pores dehydration, sun spots, dullness, shine, the list goes on. Recently I did 5 face masks in one night, yup five. I don’t know what was going on with my skin, but it needed a lot of attention for all different reasons. I was frustrated when having to decide if I should banish the blemishes, or tighten my skin. While I obviously did both, and more, I couldn’t help but feel like the first mask was going to be the most effective, and there was this nagging noise in my head asking if these products should be used one after another. I ignored that noise, and hoped for the best. I didn’t get the best, but I didn’t get the worst either. Basically, nothing happened, my skin went into hiding and didn’t seem to take in any of the benefits of masking. I never liked the saying “less is more,” less is less! But for once I saw the point and had to agree. While my skin was taking a big time-out from me, I had lots of time to reflect on my bad behavior. Heavy creams are not to go on shiny spots, don’t exfoliate around the eyes, don’t mix retinol with vitamin C. I know all of this already, but how many labels can I read before I give up and slather them all on to my face and pass out. Sometime it’s just too much work, even for me. No wonder everyone is talking about Wander. Wander Beauty is by two wonderful women, leading busy lives, one entrepreneurial mother of two, and the other a busy supermodel always on the go. While their day-to-day might not look the same, they had one very important thing in common, beauty, and the lack of time they had for it. Much like my masking dilemmas, they too, didn’t have enough time in their days to use all the products needed to look and feel best. I’m sure most of you can relate to those rushed moments of frantically digging through a giant makeup bag or over-filled product drawers to find the mascara as your dinner date is texting, child is screaming, or Uber driver is calling. 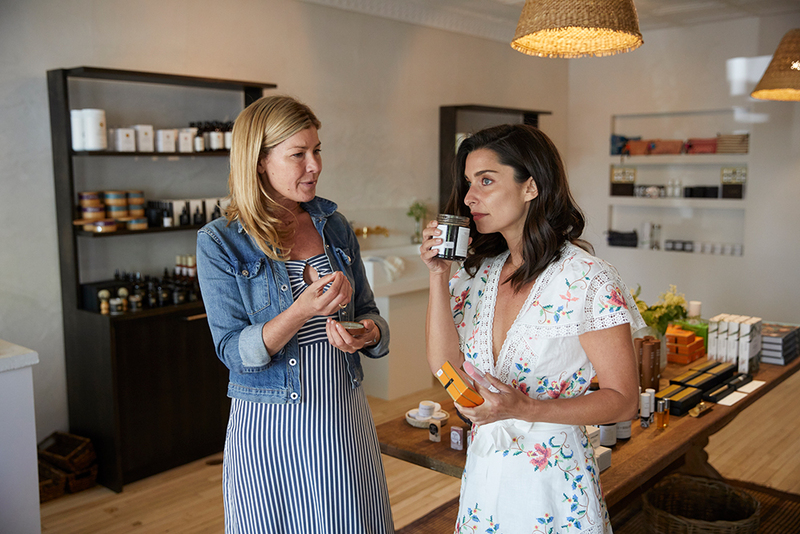 Knowing what real life looks like, this dynamic duo created a beauty line focused on making their products dual-purposed. Two for the price of one! Wander Beauty is now well-known for many of their popular products like the On-The-Glow Blush and Illuminator Stick, and my all-time favorite, Unlashed Volume and Curl Mascara, but it’s their most recent products that have me eagerly washing my face. The Multi-Masking Duo by Wander Beauty is the answer to all-time saving skin problems since there are not 25 hours in a day. These magical mates purify, brighten and hydrate. Knowing that skin can be as temperamental as my 8-year-old daughter, these two masks can be used simultaneously in separate areas or one after the other. Divide and conquer. Lift Off Purifying and Brightening Peel Off Mask is to be used first, either all over, or on the t-zone and around the nose only. Not only does this peel-off mask satisfy my need to pick at tiny imperfections, and is in my most flattering shade of pink, but it is also chalked full of ingredients that work wonders to reduce dark spots, wrinkles, acne and pores. It’s also not just a taker, it gives back with hydration and collagen. So thoughtful. Extended Stay Hydrating Mask comes next and can also be applied all over or alongside the peel-off mask in the areas it was not placed. This mask is so soothing and gentle, it can also be worn overnight for a deep hydration, and a smaller amount into your morning and evening routine, like a lotion. That is some bag of tricks they have packed into one bottle. This soothing mask has many of the same benefits as it’s counterpart, complementing and accelerating the effects while locking it all down. Partners in crime is nothing new to this world. Thelma and Louise, Batman and Robin, Bonnie and Clyde, Wander Beauty Masking Duo. I sleep better at night now that I use this killer combo, not only because I’m no longer worrying about the science experiment I was layering on my face but mostly because I have more time to relax and rest! I’m madly in love with a fresh, naturally flawless, glowing face. Picture Christy Turlington and Ed Burns, oh so cool, walking down the street circa 1994. In reality, this is not what I have, no matter how many times I wish on 11:11. Not being a fan of thick foundations that make my skin feel claustrophobic, and completely unnatural, I spent years being frustrated with my makeup, constantly searching for a way to look impossibly perfect. Don’t get me wrong, I think that imperfections are beautiful, they make us interesting and unique, but most of the time I’m working to reduce or remove uneven skin tone, pimples, or extreme exhaustion from my face. When I finally figured out that layering 2 - 3 light-weight products gave me that natural super model glow, it changed my feelings on face makeup. I was thrilled that I no longer had to basically lay fondant on my face before I left the house every morning at 8 a.m. Throughout the years, I’ve consumed many primers, tinted moisturizers, sheer foundations, breathable this, lightweight that, frequently adjusting combinations for summer tans or winter whites, morning redness and evening events. It may seem like a lot of work, and it was, but it felt worth it as long as I wasn’t using a cake knife to remove my makeup every night. But now it’s 2018, we have self-driving cars (sort of), eye-glasses that double as a computer (not chic ones though), a W Hotel on the moon (we can always dream), and Erborian. 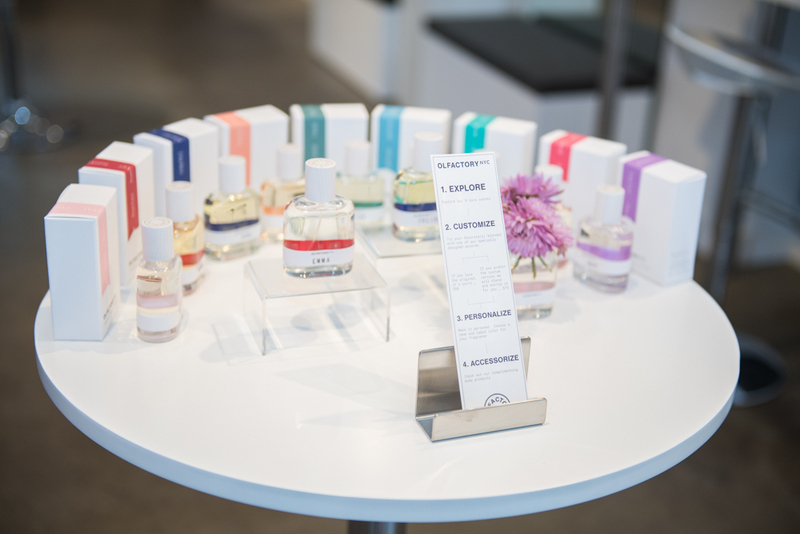 What happens when Korean skin care rituals joins forces with French beauty secrets? A lot of complements on your skin! Erborian https://usa.erborian.com/, who totes itself as “intelligent beauty” is a laboratory-developed beauty line using cutting-edge technology, with high quality ingredients, creating an exceptionally effective line of makeup and skincare. I discovered this line when a trusty beauty junkie I know had it resting top shelf amongst all of her must-have daily staples. I did a little research and immediately got my hands on a few of their products that were of interest to me. Eureka! I struck face makeup gold. One greedy application and I was hooked. Since then, it has been nothing but non-stop compliments on my skin, from everyone from friends I see daily, to strangers on the street. I wanted to take all the credit as if I effortlessly roll out of bed this flawless, but it’s just too good not to share. So much so that I found myself pulling it out of my bag during dinners, giving makeovers on the spot just to watch their excitement as they admire the results. If I wasn’t going to take credit for being so naturally stunning, then at least I would take credit for helping the people around me reach perfection. Absolutely start of with one of their outstanding primers. I use the Pink Perfect 4-in-1 Primer. Its creamy, yet matte texture blurs imperfections, minimizes the appearance of pores and enhances your skin tone with an illuminating glow that has no hints of shimmer or glitter. The perfect way to prep for second is Erborian's mind-blowing CC Cream. Coming in two tones, light and medium, the CC Cream has encapsulated pigment which starts out white, and as it’s is rubbed in, adapts to your skin tone creating the perfect match. No more dead giveaway blending issues. This light-as-air cream not only disguises flaws but also has components like ginseng to moisturize and smooth for long term baby soft skin. My face resulted in the most admirable even and soft glow. I was skeptical when I noticed the the CC Cream had SPF 25, as I have a love/hate relationship with sunscreen, I know I need it, but I hate the way SPF looks and feels, making my skin feel greasy. I don’t know how they did it however, but there is so little greasiness that I had to double-check the tube and then the website, to make absolutely sure the SPF was in there. I complete my look with the Erborian BB Cream. The difference between CC Cream and BB Cream is not so dramatic, which is why they layer so well together. CC stands for color correcting, it is generally more sheer and airy with a fluffy whipped texture, melting into your skin with ease, working wonders to mask imperfections. BB Cream stands for beauty balm, this is more like a light foundation. Having a denser consistency and more pigment, it’s perfect for harder to cover spots. Erborian's fantastic BB cream contains heaps of traditional Asian herbs that moisturize, plump, and refine texture, simultaneously reducing the appearance of blemishes and further evening out skin tone. The combination of these three products helps me sleep better at night knowing that I no longer need to adjust my product combinations to meet my skin's needs because Erborian is doing it for me. I can also blissfully state that I was able to store away all my other full-face products making room for more red lipstick. I like to call this triple threat, "taxi cab makeup," because they all blend seamlessly together with the heat of my finger tips. Even an amateur makeup wearer can easily apply a full face of coverage in a moving car without a mirror and confidently step out of the car knowing they will look just like a supermodel, or at least their skin will. Congratulations! You have made it passed level 1. 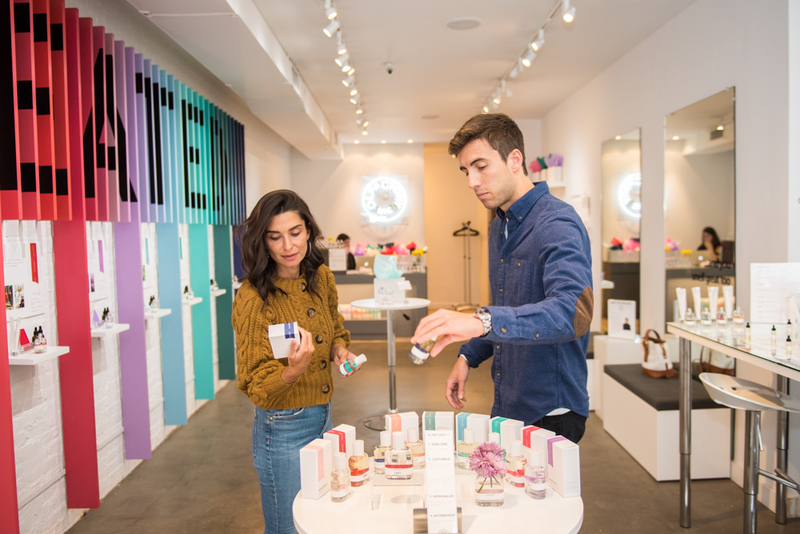 You have defeated the beauty counter, plowed through the internet, and conquered product commitment. Armed with your new skin care weapons, you now embark onto level 2. Riskier and more challenging, the application phase. Edward Burke once said, “Good order is the foundation of all things.” Armed with strategic knowledge you will be able to battle through this next level beautifully. I strongly believe in a double cleanse for the evenings. This doesn’t mean washing your face twice (although sometimes I do). This is like makeup removal PLUS. Not removing makeup and dirt clogs pores making them appear larger, causes inflammation and spawns breakouts. But even if you don’t wear makeup, our skin picks up many other harmful baggage throughout the day like dirt and pollution which breaks down collagen provoking premature fine lines and wrinkles. It’s best to get all of this gross stuff out of the way so that your face wash can be further enhanced. Remember, oil and water doesn’t mix so this is like fighting fire with fire. The oil/balm cleanser attaches to the oils in makeup and pollution breaking down and dissolving them with out stripping your skin of its helpful natural oils. If you are absolutely adverse to an oil/balm then go with micellar water as it has similar benefits. After massaging it into your skin gently wipe away excess with a washcloth soaked in lukewarm water, hot water is never best. I get great results with out ever feeling oily from Clinique Take The Day Off Cleansing Balm. This second cleanse is more traditional involving a good 1-minute lather, cleaning deep into your pores, giving you a fresh canvas to work with, allowing products to be much more effective. Face wash has come such a long way that we can no longer consider it soap. Gel cleansers are great for a deep cleanse, decongesting pores. Milk cleansers don’t strip the skin, so anyone who is dry would benefit from keeping more of their natural oils. Foam cleansers remove excess oils, banishing unwanted shine. Exfoliating cleansers remove dead skin, which is key if you feel like you look dull. With all of these targeting options, your skin treatments start with your wash, that’s why removing impurities first is so important. Many people skip toner, thinking it dries their skin out. This thought should be a thing of the past from a time when very few options were on the market. Now toners come in all shapes and sizes, addressing every skin concern from dry skin to aging skin. Toner is so important because it completes the cleansing process removing anything left behind, including extra cleanser. In addition toner shrinks pores, restores skins pH balance and further preps skin for the products to follow allowing them to penetrate deeper for stronger long lasting results. Toner shouldn’t be skipped, just make sure you are using one that is right for your skin type. For dry skin, look for toners with Glycerin, it will help to hydrate and smooth skin. Make sure to stay away from any that have alcohol in them. For sensitive skin, pick something with aloe vera. For oily skin, go with witch hazel as an ingredient. For mature skin, chose a toner with vitamin C. Fresh has an extensive line of toners that all work well. 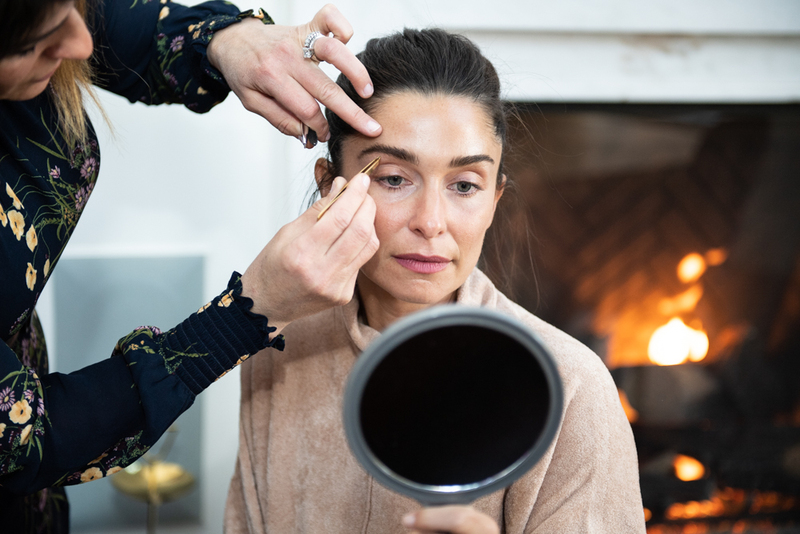 Technically, eye treatments can be applied at any point in your routine, as long as it’s before your moisturizer, since you would be stearing clear of this area during other applications. I personally like to start with my eyes, protecting the delicate skin and ensuring my product of choice is in full effect having no other competition. Using a different eye treatment in morning and evening is important. Since our skin restores while we sleep, it’s a good time to add hydration and fight fine lines with something heavier, in form of a cream. In the morning, look for one with antioxidants such as vitamin C as it will help protect from any stressors you encounter throughout the day. When your skin is at its cleanest is the best time to apply the most active and concentrated treatments, because they will be able to penetrate the deepest. These would be things like your retinols, salicylic acid, glycolic acid and antioxidants like vitamin E and C.
Layering is great if you have multiple concerns you want to address, but limit yourself to 3, or else you risk them pilling, not absorbing properly, and possibly overloading your skin, resulting in irritation. A good rule of thumb when layering serums is to apply thinnest to thickest. 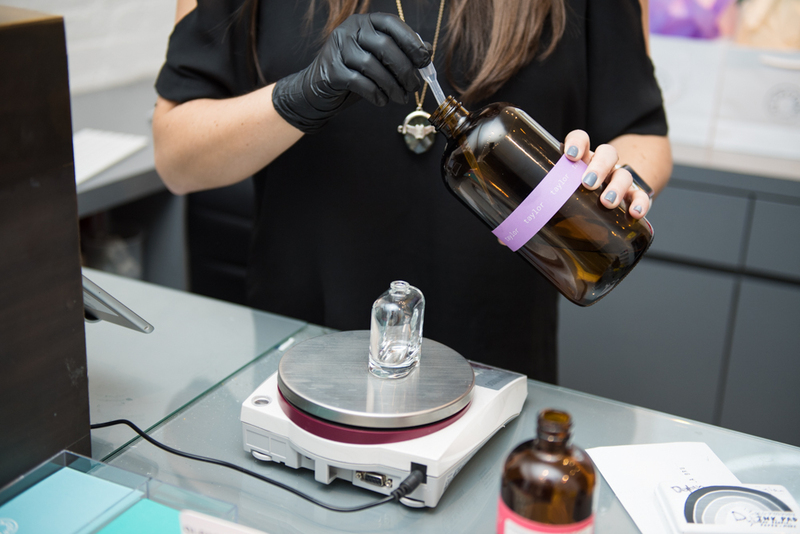 The thinest will absorb the fastest and the thicker may prevent or dilute the effectiveness of lighter consistencies from getting through. That being said, if there is a concern you wish to address more aggressively do a spot treatment and allow for it to absorb before continuing to see maximum results. It’s always best to allow each layer to absorb by waiting a minute before applying the next. Retinol should be used alone and only in the evening as it doesn’t do well when exposed to sun light possibly causing sunburn. Be consistent with your serums, even if you are alternating. Don’t expect to see results if you are using them sparingly a few times a month. Hyaluronic acid is one of my favorite products! Newer to the beauty scene, it has surprisingly immediate results. Our skin naturally produces hyaluronic acid, but due to the aging process and lifestyle factors, this useful production takes a hit causing dullness and fine lines. Hyaluronic acid attracts moisture from the air then regulates and distributes the needed amount of hydration for your skin type leaving you glowing and plumped, filling in fine lines and wrinkles, dramatically. Hyaluronic acid is light weight, non-greasy, and works for every skin type. Additionally, it layers well with retinol by reason of it’s non-aggressive and hydrating nature. Since hyaluronic acid is such a loyal hard worker, it will go anywhere it is needed, bringing extra moisture with it to best get the job done. This means if the air is drier than your skin it will pull out your moisture leaving you dryer than before. For this reason, it’s best to lock it down with a heavier product, like cream, especially in the cold winter or dry locations such as Las Vegas, and its a fantastic trick while flying. On humid summer days I don’t need any further hydration to get the perfect plumping results and in winter, when followed with moisturizer, it prevents any signs of that sad dull and dry skin. Loving SkinMedica HA5 Rejuvenating Hydrator. Moisturizer does a terrific job of sealing all other products in, and acts as a barrier from environmental stressors that would otherwise dilute their efficiency. For that reason, it should come after your more potent products. For some skin types, creams can be skipped when they are in humid environments as their skin naturally produces enough moisture. Make no mistake this is not the same as having oily skin. In fact oily skin needs moisturizer as much as anyone else because moisture is water based, not oil based. This is a common mistake made by people with oily skin causing the body to only produce more oil due to the lack of moisture present. If you are prone to shine make sure your moisturizer is oil-free, look for a lotion or gel as they are lighter than creams. Face oils should always be used last, since they can penetrate through moisturizers, but not all moisturizers can get through oils. While oils are beneficial to all skin types, some people may find them too rich for a morning routine, rendering a greasy look. If this is the case, only use them at night to wake up and enjoy all of their amazing results throughout the day. You can also strategically apply, avoiding areas of the face that tend to get more oily. I find using less than the recommend amount gives me more positive results. Absolute favorite Darphin 8-Flower Nectar. Having a freshly clean face is one of my favorite feelings. Those brief moments I have to glance in the mirror after cleansing and before applying vitamins and hydration motivates me to keep up my skin program day after day. I enjoy a deeply cleansed face so much that I almost always wash my face two to three times per routine, especially in the evening, when I may be removing dirt and/or makeup from the day. Without question, I am certain this is one of the best ways to attain the results you are looking for. Saturday Skin Rise + Shine Gentle Cleanser would leave me speechless if that was a possibility. I was though, momentarily stunned silent after the first use. All I thought for that brief second was, squeaky clean! My face felt so clean I could indeed hear squeaking. After one use there was no sight of pores or uneven red tones, my skin was so smooth and brilliant. There it was a flawlessly clean, happy, healthy face! Formulated with apple and peach extracts, the cleanser removes impurities, combined with hydrating gel that leaves you with plump glistening skin. I was taken by surprise with the immediate effects and continue to be in awe after every wash. I can say without doubt that is is now my all time favorite facial cleanser that I will never be without. A personal note about cleanser - I like to apply it to a dry face then adding water to activate it and always remove with a cloth.